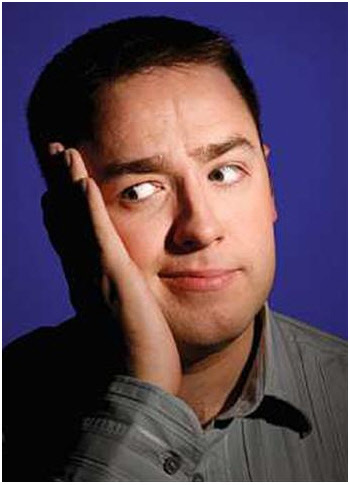 Host of the excellent ‘Comedy Rocks’ and former captain on ‘8 Out of 10 Cats’, Jason Manford is currently on tour in the UK and I managed to see him.I’ve been a big fan of this guy since watching him on Channel 4 and have wanted to see him live for a while. Due to him getting the presenter role on ‘The One Show’ in 2010 the tour was heavily delayed. However on June 25th 2011 the gig went ahead at the Warwick Arts Centre. Being a fan of his I expected to enjoy this gig. But before hand I had seen a few negative comments floating about the web on ticket and news websites about his performances. So I was open minded as to how it could go. No support act for Jason, just straight into the thick of it. He kicked of with the usual hellos, and the front row banter. The front row fun rarely fails to deliver, and this was no different. There was also one small heckle which Jason reacted to quickly, bringing big laughs from the sell out audience! The first hour flew by, very much a master of observational comedy he talks about things in everyday life we can all relate to. During the break I spoke to a small group of people I knew who were also at the gig. They were loving it and said they were surprised at how funny he’d been so far. One of the guys commented he saw him a couple of years ago and he had definitely improved. The first half seemed to go down very well all round. After a short break it was back in for more. Very much the same as the first half there was no change of pace or nature of jokes, which was great as more of the same was required. The next hour plus (I can’t remember exactly how long it went on for!) flew by with good stories, gags and audience interaction. Approaching 11pm – having started at 8pm – Jason finally said thanks and goodbye. As always the encore soon started. The encore was solid, including a routine which was one of my favourites about being a cat or dog person. I found it funny but I could feel a woman behind me laughing so much I think she was struggling to breathe! It was a really good finish to a good show. I felt the show had a nice mix of audience interaction, funny storytelling, talk on up-to-date topics, all surrounded by a general feel-good factor. There was very few moments without laughter, the audience reacted great to Jasons performance throughout the night. And I hadn’t heard any of the material before which is always pleasing. For a £20 ticket it was almost 3hrs of really good stand-up, that’s value for money compared to football matches and the like! Forget about his antics on Twitter, he is a top comedian and comes across as a real genuine bloke. Well worth going to see him live if you can. His tour continues until the end of November 2011 so check out if he is performing near you. Dates and option to purchase are available on the TicketMaster website.